Finally Only One Day Left To Go! The DC Comic Universe to create REBIRTH! history, returning the thing we loved and missed from that time. 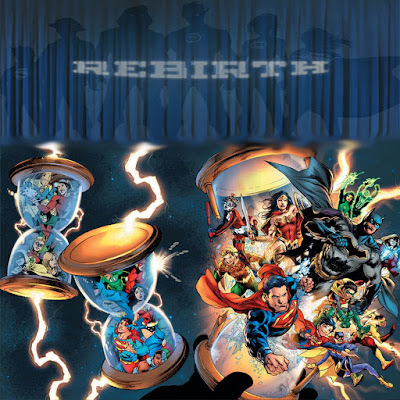 Rebirth isn't a reboot, it's a revival! 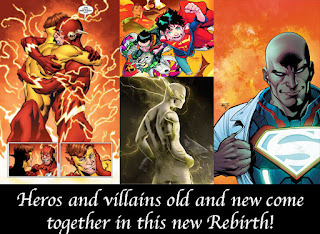 It seemed, with the New 52 Set, all these heroes were meeting for the first time. and loved disappeared. 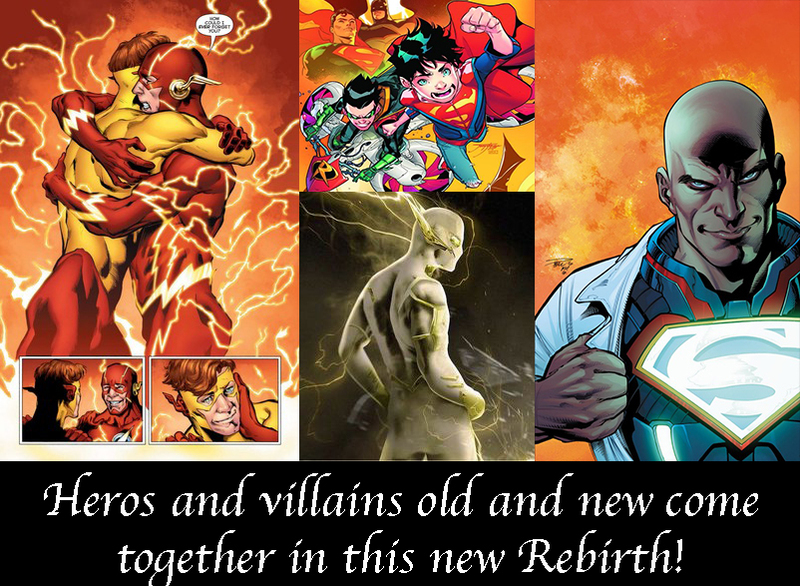 Rebirth looks like it's changing all that! 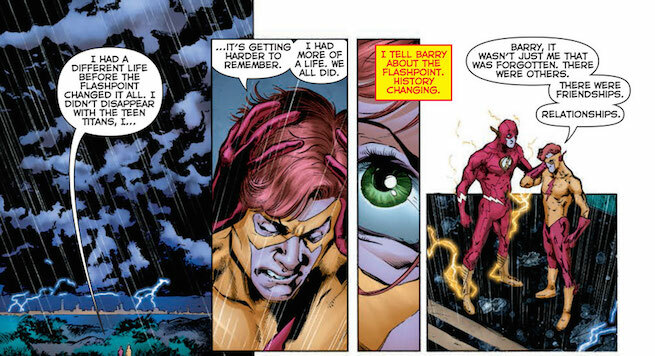 As always in these pivotal times, the Flash Family is at it's center! remember? Where has he been? We won't know until we read! which are returning to their old numbers. 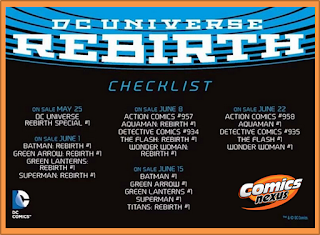 There will be a total of 17 twice monthly books, and 14 monthly. All books will only cost $2.99 each! 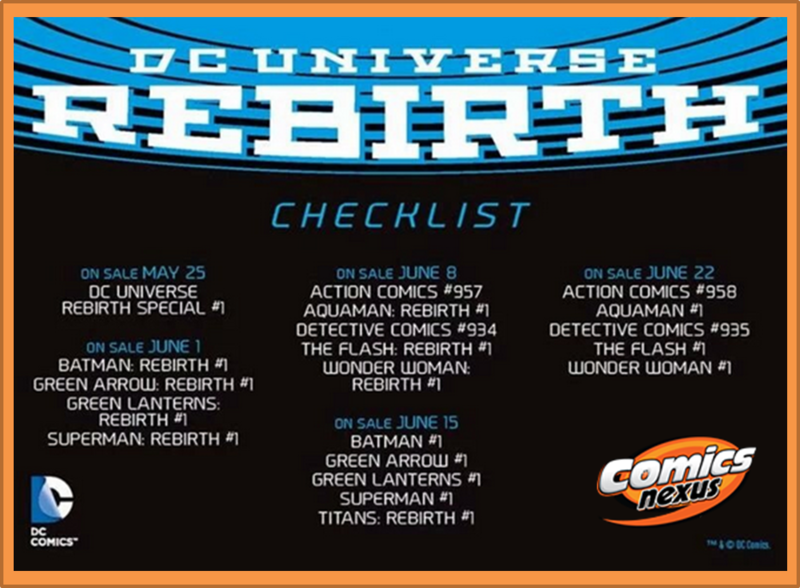 Here's a quick look at the upcoming month! It's always great to go straight to the source! Don't have access to the Flashpoint Paradox Comics? Check out the Movie on Netflix!